Belissimo Boutique kindly sent me their new Belissimo Lips to try out! The little packet (as pictured) contains glue, glitter, cotton buds and most importantly – instructions on how to apply the glitter. 2. Using the cotton buds provided apply the glue over clean lips – make sure your lips are separated, don’t glue them together! 3.Using a cotton bud dab the glitter over the glue and it’s done! It’s also extremely easy to remove with a makeup wipe. Even after eating and drinking it stays in tact it stays on whilst eating and drinking. 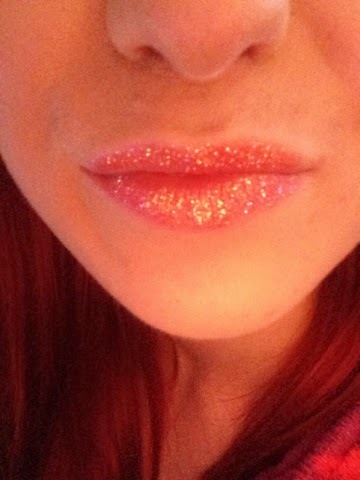 The photos really don’t do the product any justice here, the glitter is very bright and shows up very well on the lips. I would love to try another colour as I feel the Crimson Red shade would suit my complexion a lot more. Belissimo Lips would make the perfect stocking filler or even a treat to yourself! 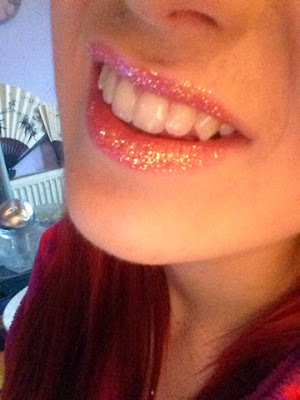 Glitter lips are perfect for Christmas parties, I can’t wait to wear this more over Christmas and New Year.